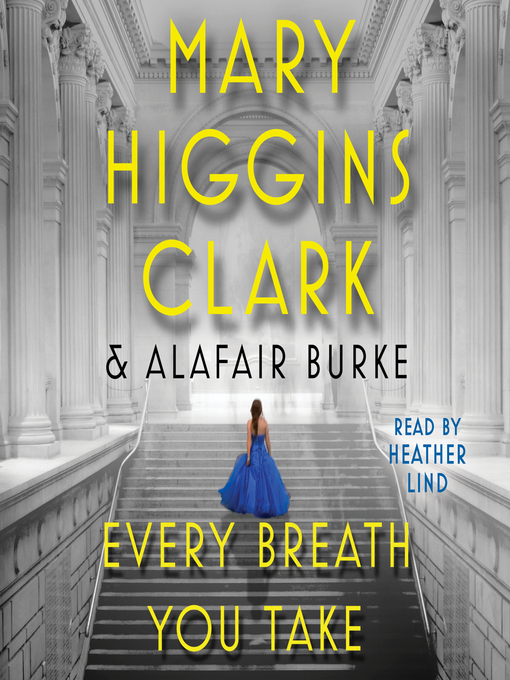 "Queen of Suspense" Mary Higgins Clark and Alafair Burke are back with their fourth book in the New York Times bestselling Under Suspicion series; Every Breath You Take follows television producer's Laurie Moran investigation of the unsolved Met Gala murder—in which a wealthy widow was pushed to her death from the famous museum's rooftop. Laurie Moran's professional life is a success—her television show Under Suspicion is a hit, both in the ratings and its record of solving cold cases. But her romantic break from former host Alex Buckley has left her with on-air talent she can't stand—Ryan Nichols—and a sense of loneliness, despite her loving family. Now Ryan has suggested a new case. Three years ago, Virginia Wakeling, a member of the Board of Trustees of the Metropolitan Museum of Art and one of the museum's most generous donors, was found in the snow, after being thrown from the museum's roof on the night of its most celebrated fundraiser, the Met Gala. The leading suspect then and now is her much younger boyfriend and personal trainer, Ivan Gray. Ivan runs a trendy, successful boutique gym called Punch—a business funded in no small part by the late Virginia—which happens to be the gym Ryan frequents. Laurie's skepticism about the case is upended by a tip from her father's NYPD connection, and soon Laurie realizes there are a bevy of suspects—including Virginia's trusted inner circle.